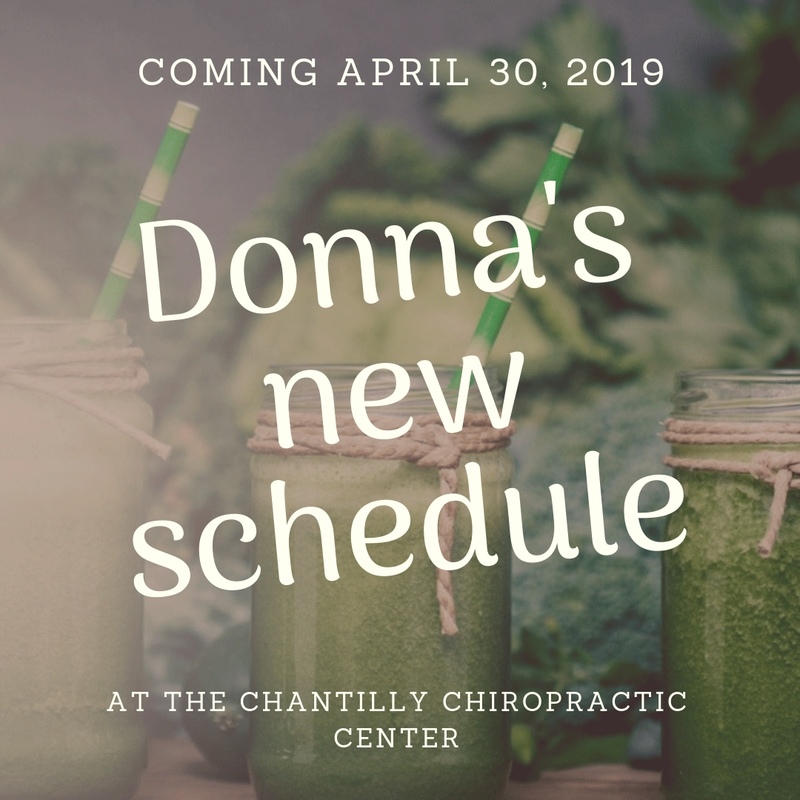 You are here: Home » Tag "Important Information"
As of April 30, 2019, Donna will be changing her hours at Chantilly Chiropractic Center in Chantilly, Virginia, from Thursday afternoons to Tuesday afternoons from 2:00 PM – 6:00 PM! The chiropractic doctors in the Chantilly office are very excited about having her there in this new time frame. If you are one of Donna’s clients who lives in the area surrounding Chantilly, this information will be of particular interest to you. Please make a note of this when planning to schedule your next appointment with her! Donna will continue to see clients in Gainesville on Tuesday mornings, and on Wednesdays and Thursdays. Appointments in Fort Valley will continue to be available, as well. To schedule your appointment, please call 844-787-3935. Listen carefully to select the extension for the location at which you want to see her. You may leave a message, and we will contact you to schedule your appointment. Thank you. We look forward to seeing you soon!